Take time out from your busy life, and find comfort in the love and wisdom of God. 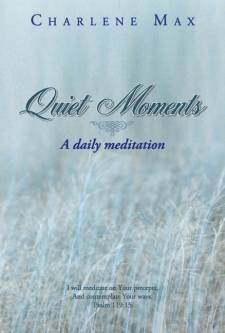 Quiet Moments is a daily devotional that lets you meditate on the good things that God has given us through Jesus Christ. With warmth and humour, Charlene Max shares Godly principles and truths that will take you deeper in your faith and help you discover the joy of the love of God.